2012 Mahindra Xylo variants and prices across five major cities! 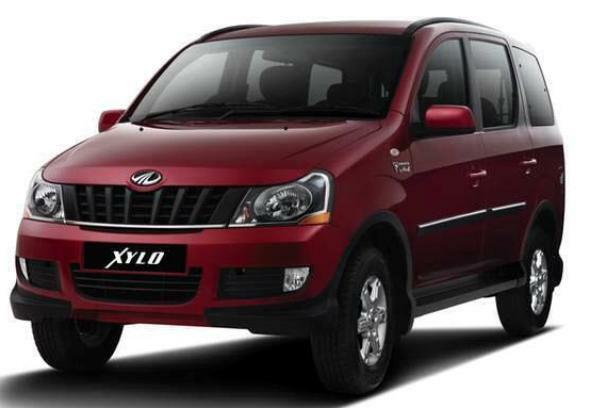 Mahindra launched the refreshed Xylo MPV in February 2012 with prices ranging between Rs. 7.37 lakh and Rs. 10.25 lakh, ex-showroom, Delhi. Post the 2012 union budget, the excise duty of cars were hiked by two percent and hence Mahindra hiked the prices of Xylo accordingly. At present, the Xylo prices range between Rs. 7.47 lakh and Rs. 10.47 lakh. The new Xylo is not a mere cosmetic makeover, but also gets the Scorpio’s mHawk diesel engine on the E9 variant. Mahindra has stuffed the new Xylo with lots of features including dual airbags, ABS, cruise control, stability control, Bluetooth connectivity, dual AC, voice command activation system and steering mounted audio controls. The Xylo is offered in five variants: D2, D4, E4, E8 and E9. The Xylo E9 variant gets the 2-.2-litre mHawk engine that already powers the Scorpio. This engine puts out 120 Bhp of power and 290 Nm of torque. The E4 and E8 variants are continued to be offered with the existing 2.5-litre mEagle engine that churns out 112 Bhp of power. The base variants, D2 and D4, which are aimed at taxi/fleet market, are offered with 2.5-litre mDi diesel motor that puts out 95 Bhp of power. The base D2 variant does not get footsteps with mud flaps, rear wash & wipe, central locking and power windows. The following table shows the features available on the D2 variant. The D4 variant gets all the features of the base D2 variant and in addition gets roof rail, digital clock, rear wash & wipe and central locking. The E4 variant gets all the features of the D4 variant and in addition gets Digital drive assist system, optional ABS with EBD. The E4 variant gets all the features of the E4 variant and in addition gets rear spoiler, electric ORVMs, standard ABS, optional Airbags, audio system, keyless entry and reverse parking sensors. The top-end variant, E9 gets all the features of E8 and in addition gets standard Airbags, cruise control, voice command technology and audio control on steering wheel. « Mahindra Mini Xylo to see a pre-Diwali launch!